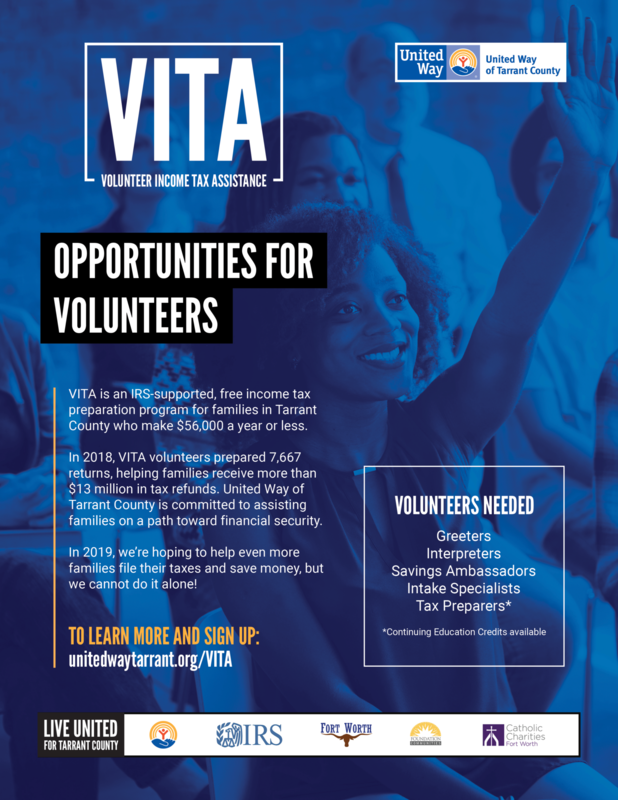 United Way of Tarrant County is providing Volunteer Income Tax Assistance (VITA) January 28 – April 17. 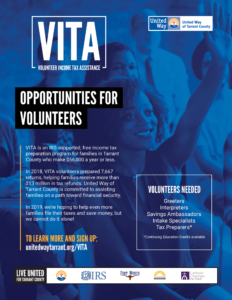 Through VITA, qualifying individuals receive quality tax preparation services by IRS-certified volunteers. We are currently looking for volunteers to help meet the demand of our free tax centers. Volunteers also can earn continuing education credits. Please visit www.unitedwaytarrant.org/VITA/ for more information.